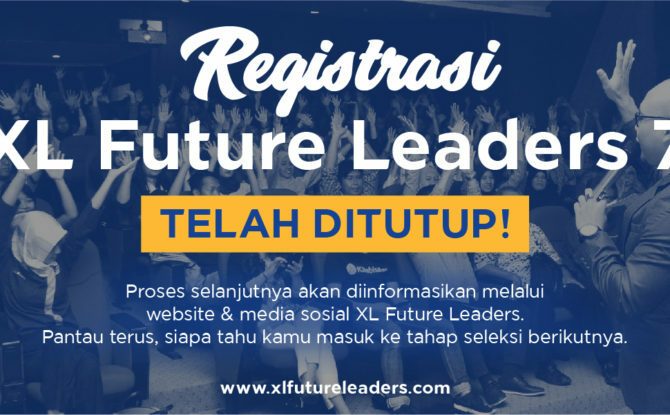 Please check our website (www.xlfutureleaders.com), XLFL social media (Twitter: xlfutureleaders, Facebook: XL Future Leaders, IG: xlfutureleaders), and your registered email for that info. So keep an eye on those channels! Do note that all process is free of charge, so beware of any irresponsible scams or fraud information on behalf of XL Axiata related to this program. We also encourage you to learn via our E-learn platform. It will help you to prepare yourselves better throughout the selection process. We wish you best of luck!